It’s funny that I discovered Colombian Wayuu bags on the other side of the world, in my new home country: Thailand. One day I was walking through one of the many malls of Bangkok when a colorful pop-up stand caught my eye (hey, that’s part of being a Treasurista!). It turned out to be the pop-up of Bee, a cool Thai lady with a love for all things boho and handmade. 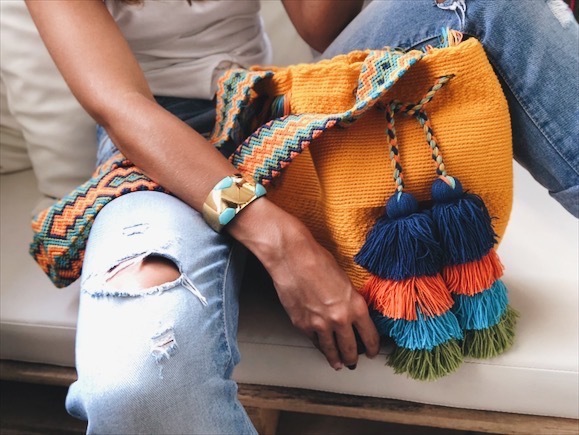 She has travelled the world as a flight attendant for 15 years and one of her many discoveries were the beautiful bags crafted by the women of the Colombia Wayuu tribe. The Wayuu are an indigenous Latin American tribe living in the desert of La Guajira Peninsula on the border of Colombia and Venezuela, which has managed to preserve their traditional way of living. Another special feature of the Wayuu people is that their girls literally run the world: women are at the head of the families and give their name to their children. One of the beautiful traditions that are passed on from mother to daughter is weaving — the craft is considered as a symbol of creativity and wisdom. Their unique design and craftsmanship have made Wayuu bags known around the world. They’ve become a valuable source of income for the tribe, enabling them to preserve their traditional way of living. You can admire the craftsmanship of Wayuu women in this video! 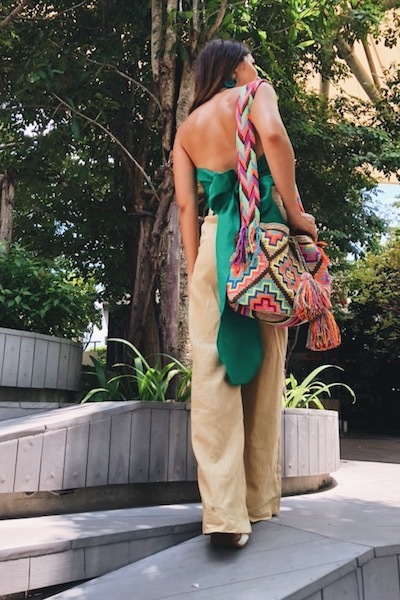 Through Bee the Wayuu bags have also found their way to Thailand. She handpicks the bags and imports them to Thailand, where she built up a loyal fan base. In addition to her orders she also regularly makes donations to support the Wayuu people. Below some selected pieces! 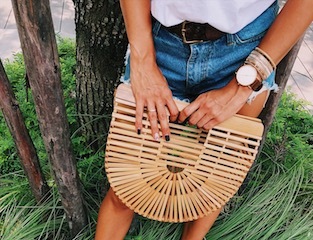 Bee also has a great collection of Bali bags to give a boho touch to your summer outfit! If you live in Thailand, the easiest way is to check out Bee’s full collection on Facebook or Instagram @wayuubag_BKK and place your order through these channels. If you’d like to order one of her pieces but you live abroad, drop a message on my contact page or send a mail to contact@treasurista.com and we’ll explore the options!